At his first public appearance since stepping down from running PlayStation around the globe, Andrew House revealed his own predictions for the future of gaming while at the GamesBeat conference this week. He spoke on stage about the options for next generation consoles, but he didn't share any exact details on what he expects to see from the PlayStation 5. House was clear he believes the PlayStation 4 and PS4 Pro have a long life ahead. Perhaps one of the most interesting strands of the interview were House's comments on the future of games as a physical media. Although many believe the future of gaming is set to trend toward downloading titles to your console, House still sees a place for the disc format. And that's largely because consoles are still breaking into developing markets. Despite this, House still believes streaming titles directly to your console will be a big game changer in the next generation of consoles. “If you look back at console gaming history, there are certain inflection points that allow for the industry to be upended and for new participants to emerge. "One of those is when you have a wholesale shift in the distribution method. In content-based industries, that is what is creating barriers to entry for people to come in. "So, other than the technical challenges, there’s no reason why game streaming can’t be present in games in the same way that we have seen in the music and film and television industries." House has evidence from the past to back up his opinion and he looks back to the launch of the original PlayStation in late 1994. Although the conference host tried to push House on some teasers for the PlayStation 5 - they rightly pointed out the console is likely in devleopment behind closed doors at Sony - he didn't budge and didn't reveal any specifics. 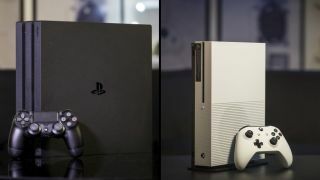 Instead House continued to hammer home the fact he wants console gaming to grow in developing markets and he believes there's a long life left in the PS4 and PS4 Pro.